hesitate to dissolve the Sri Lanka Cricket Board (SLCB) and appoint an interim committee. Minister Jayasekara added that the CP has been drafted with after a comprehensive study, consultation with all stake holders and with the advice of former senior and respected cricket stars like Mahela Jayawardana and Kumar Sangakkara. Addressing the weekly Cabinet news briefing on Wednesday, Minister Jayasekara admitted that the most popular sports, cricket in Sri Lanka has plunged to the lowest level possible at all level but he refused to put the blame fully on the SLCB and its management. “I don’t rush to the extreme and appoint an interim committee for cricket as I believe I can with the assistance of all stakeholders to save cricket with the new plan. We have to do something sooner than later because time is running out for us. I think appointing interim committees at every two or three years not only for cricket but for any other sport in the country is not healthy for any sport. Besides, the International Cricket Council (ICC) does nor recognize interim committees,” Minister Jayasekara emphasized. He admitted that the SLCB has been highly politicized and top management takes decisions aimed at winning the election held to elect top officials to the board. “One of the main weaknesses that has severely affected cricket is the lack of top tier cricket tournaments to prepare national level cricketers. The top level our cricketers participate in competitive level is club cricket. In club cricket we have no four day competitions. We also don’t have top level cricket competitions in shorter form to prepare cricketers for limited over and 20-20 cricket. Then we must also train our young cricketers to play night test cricket and to play red, white and rose balls. Sri Lanka has failed to produce top level cricketers who can face any team in the world like Mahela and Sangakkara in the last 8 years. We also have not produced spin bowlers with the calibre of Muralitharan except Rangana Herath or a fast bowler like Chaminda Vaas or a fast bowler who can reach 150 kilometres per hour. These mistakes or lapses have affected Sri Lanka cricket badly and results are that we get beaten badly at international level. 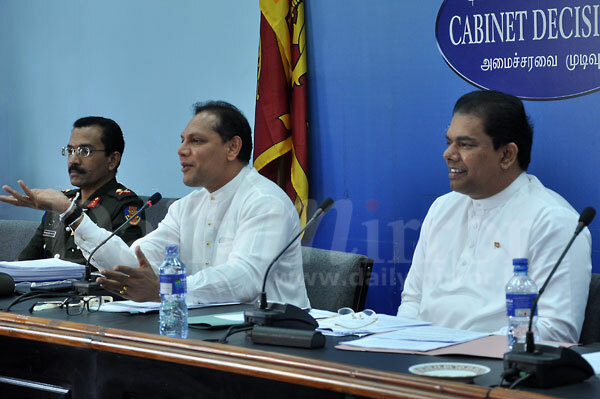 That is why the new plan and I believe we can deliver with that plan,” Minister Jayasekara stressed. Responding to a journalist Minister Jayasekara said the attempt to send a group of cricketers for the forthcoming limited over and 20/20 series without his sanctions was a violation of the Sports Law and he has asked the SLCB to submit a full report on the issue immediately. He vowed that he would take appropriate action who made the blunder and added that even SLCB chairman, deputy Speaker Tilanga Sumathipala told him that he was in the dark on the sinister move. “They tried to get my approval at the last moment and cricketers were already on board of the aircraft. Under the Sports Law, sports bodies must get Sport Minister’s approval for foreign competitions 21 days prior to the departure. At this instance they have not done that for a reason best known to them,” he charged. Minister Jayasekara said when he took over the Ministry there were 140 odd cricket clubs and he brought down the number to 24 with the right to vote at elections.